Prostaff, field staff, ambassador, sponsored, team member, etc. 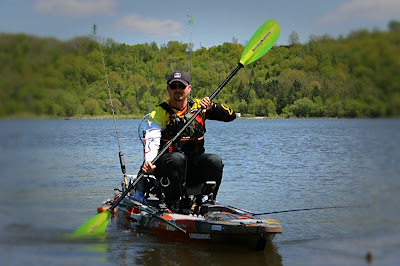 These are all hot, sought after, positions in the exploding kayak fishing, and fishing, industries. I have been blessed to pick up several of these opportunities to officially represent the brands I love. Several have asked me how I do it, so I thought I'd share my experiences here. for good luck (it didn't work). Each company calls it a different thing, but Prostaff seems to be the most universally used. People often do not understand the meaning of this team. Prostaff is short for Promotional Staff. You are representing the company in different ways in exchange for a discount, sales credit, etc. I personally do not consider myself a professional angler. I am not a professional until I can make a living fishing and not have a day job. Not an easy feat. Many people have this image in their head of the grandeur of sponsorship. You are standing on the podium with their fully rigged kayak. Sitting next to Mike Iaconelli, who decided to give a kayak tournament a go. You need a 9lb. 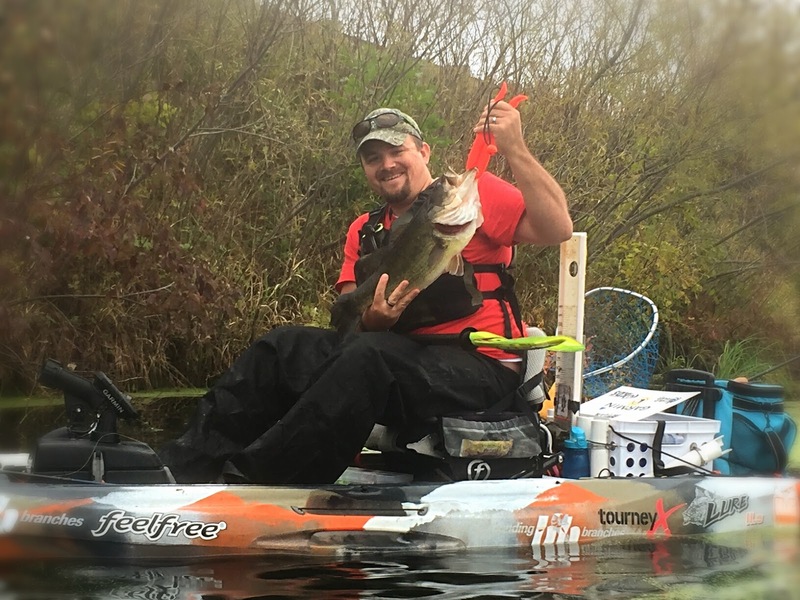 bass to pass him for first place. Yours weighs in at 9.1 ounces. The crowd explodes with cheers, Ike shakes your hand and walks off stage so you can have your moment of glory. Chad Hoover and Joe Haubenreich approach the stage. You are being sprayed with champagne as tears swell in your eyes. Chad and Joe shake your hand, handing you a medal and a check bigger than your kayak. They hoist you up on their shoulders. Mark Zona is pushing reporters aside in an attempt to get the first interview. The sponsors in attendance start thrusting free product and contracts in your arms. Chuck Norris gives you a thumbs-up and a wink from the front row of the VIP section. You are on top of the world. If any of this sounds close to your expectations of Prostaffing, I am going to bring you back to reality. It is truly an honor to represent these companies, but it is all about hard work, it is a two-way street, and nothing is free. Free sample/small/marketing items (decals, clothing, samples, etc). Don't expect a free rod/reel or kayak. Though possible, it isn't typical. Sponsorship is a two-way street. You can get one or more of the perks mentioned above. In return, you are expected to perform one or more of the requirements above. So how are you held to that? Some companies have a contract with various terms, conditions, and duration. Some companies have things they would like you to do, but no contract (Note: if you do nothing for them in this situation, chances are you won't be retained on the team). READ THE CONTRACT CAREFULLY. Make sure you can meet the requirement(s), Some people aren't willing to use a certain brand exclusively (ie lures). Some people cannot travel and work at trade shows. Be aware of what you are signing up for. Fine, I get it, but how do I get sponsored??!?!?!?!?!? I get it, you want sponsorship quickly, but it is not a quick process. Here is my (successful) approach to sponsorship. 1. What is your Angle(r)? 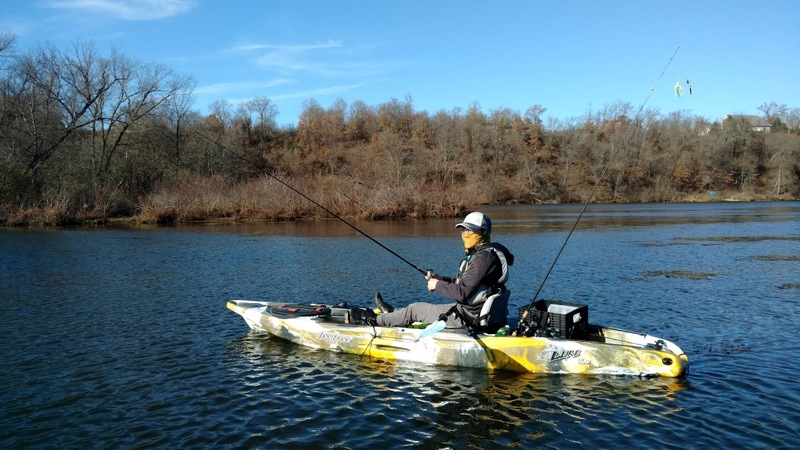 Continued advances in fishing technology (and technology in general) has opened up unlimited possibilities for the sport. What do you want your personal "brand" to be? Too much can confuse your audience or become overwhelming to manage. What type of vessel(s) will you use? SUP? Kayak? Canoe? Boat? Pool noodle? Arm floaties? Each type of vessel pulls in different audiences and brands. Trying to do too many (my opinion) makes it hard to focus and can be financially difficult. 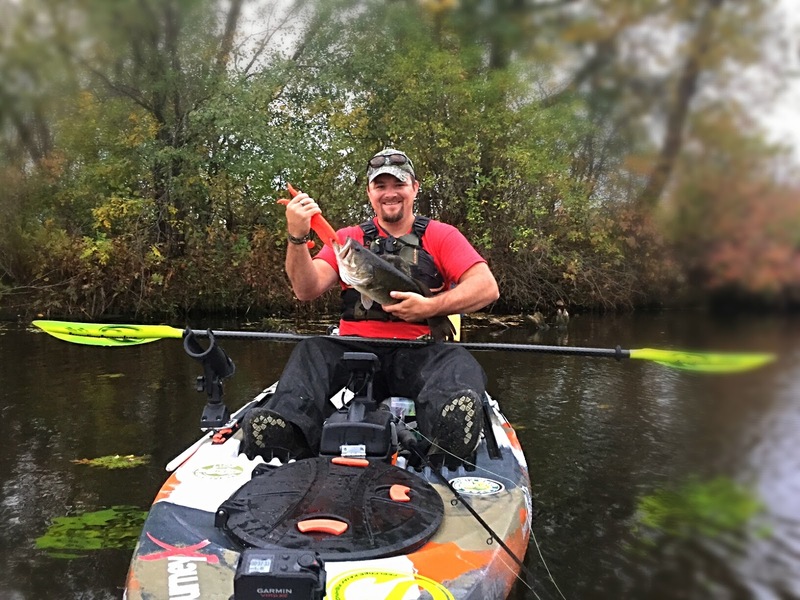 I personally fell in love with kayak fishing and stuck with that. Though I do use other vessels time-to-time. There is an important aspect to this point, that is the mechanism(s) you plan to use to promote your personal brand/angle. Are you going to focus on tournament fishing? Are you going to be a "social media" fisherman? Both? I personally dove into both, which is great. However, I found I needed to balance the two. I'm married, with two young kids, pets, a mortgage, and a day job. When I started getting more serious into tournament fishing I felt obligated to fish. This impacted my personal life and my primary mechanism (this blog and related social media) suffered. I was too tired to write/post. I was too busy to write/post. I would get home after an 8 hour work day and 4 hours on the water, sitting on my laptop catching up with my writing. It wasn't fair to my family. My balance is focus on my blog/social media. I still participate in tournaments, but enjoy the competition. I don't let it define how much/when I fish. Everyone's balance will be different. But push too hard and you could get burned out. Most people fish because they enjoy it. So go out and enjoy it. Share your experiences through social media pages/accounts and industry groups. 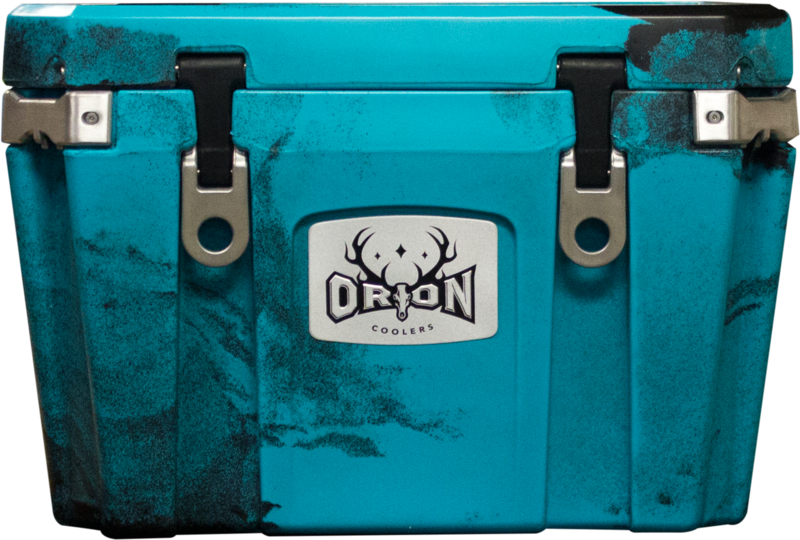 Take pictures/video of the fish you catch, take beautiful scenery pictures with the products you use and love. Share them and tag them on your social media. It will get noticed. But if you focus on getting sponsors, rather than the fishing, your hobby could become a job. Not a career, a job. A job is something you have to do, but don't really love it. A career is a long-term occupation that provides you with financial stability. You (on most days) love of the occupation. We have all seen them. The self-proclaimed professionals. They show up to the launch with a wrapped boat/kayak. Or it is loaded with stickers. They are wearing a jersey filled with logos. These may/may not actually be their sponsors. But the walk, act, and talk to everyone like they are the next big thing in fishing. Don't get me wrong, I have plenty of decals and sponsor logos. But I don't let it go to my head. Sure, it turns a lot of heads. But that is the point. You want people to notice the brands you use. 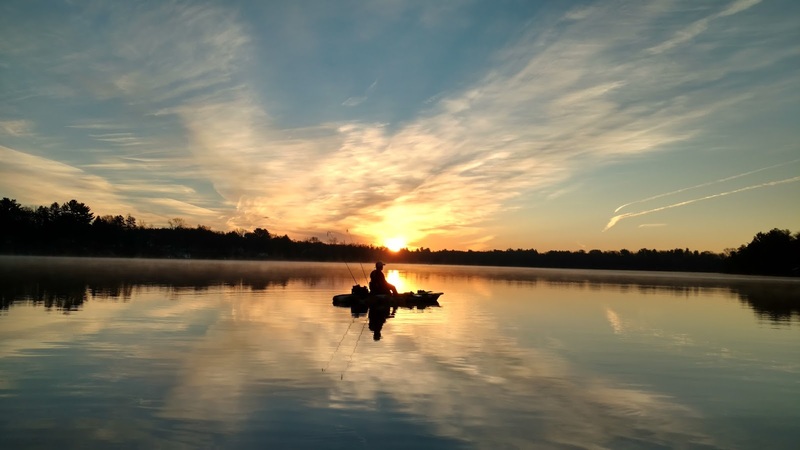 I usually fish very early in the morning. The launch is typically barren. But when I land in the afternoon, the launches are filled with various types of people. Every time I land, I get questions about my kayak, my rods/reels, my sonar, etc. I love speaking with people and supporting the brands I'm passionate about, so I always oblige. On the water, I get several boats and kayaks come up to me to ask the same. Even if it interrupts my fishing, I am always happy to chat (if I was in a short tournament I would have to politely decline but would give them my email address so we could chat later). I love helping others learn about the brands, industry, and help where I can. This is a great reflection upon the brands I represent. Be honest about your accomplishments and credentials. This should not require a detailed explanation. However, credibility is everything here. With social media, you will be caught if lying. Your credibility will be destroyed. It isn't worth it. I made this mistake early on when I tried picking up some sponsors and quickly realized it was not the right way. I was messaging several companies via social media, email, etc. Some of these companies get thousands of requests for sponsorship every day. Chances of you actually getting one to bring you on without a resume to back it up is slim-to-none. I quickly became frustrated and discouraged (hence point 1 above). I took a step back and thought about my approach. I was using products from several brands that I truly loved. Rather than throwing a Hail Mary to every company in the industry, I stopped thinking about it, stopped forcing it. I enjoyed my time on the water, using my social media to showcase and promote the brands I personally loved. I tagged them in my posts, participated in their groups, and kept in contact with the company. Eventually things worked out better than I ever expected. If you force a sponsorship with a brand/product you haven't used, it will show. Either it will prevent you from getting the sponsorship. Or you may not particularly enjoy the product after you get the sponsorship. I only choose to represent companies I personally use and love. Your promotional expectations just come naturally when you use and love the product. Have a fishing-specific resume. It should include your address/contact information. Many sponsors add team members based on representation in regions. If they don't have staff in your area, your chances of representing them is greater. Nobody is perfect. But your resume should be. Your grammar, formatting, spelling should all be perfect. I know my blog posts are not perfect by any means. I constantly find typos, grammatical issues, etc. that I touch up. Resumes are different. There is NO EXCUSE for errors on the relatively brief document. I personally throw out any with errors. Any errors tell me the person doesn't care enough to pay attention to the details. Have friends, family, teachers, coworkers, anyone proofread it. And for goodness sake, make sure you know the difference between "your" and "you're" or "there", "their", and "they're"!!! I kept in touch with several brand employees while working on sponsorship. I would send an email to introduce myself, tell them why I use/like their product, why I would be honored to represent their company. Don't push it, but ask them what they require/would like to see if I would like to join their team someday. Thank them for their time. Many will respect the inquiry and provide feedback. Keep their contact info handy and stay in touch. Tell them about major milestones (tournament wins, social media following milestones, publications). These follow ups show them true interest and update them on your personal brand. I personally wouldn't bring on any team members unless they followed up on their original inquiry. If they only inquire once, they are just throwing up a Hail Mary. You don't deserve to represent a brand. You work hard to earn the opportunity. 8. What About Prostaffing Companies? There are companies that provide a platform for aspiring Prostaff to build their personal brand and connect with companies seeking staff members. I personally haven't used any of these services, but know people who have and found them helpful. Some companies will ONLY accept staff members via one of these services, which I understand. With the flood of requests, these services help filter requests. Just note you will need to pay various fee(s) to leverage these services. They can be a great platform to start a blog, a fishing network, and augment any social media you may have. The above information and tips is purely based on my experience and opinions. I know of others that have varying opinions. However, I wanted to share mine with anyone curious about next-steps. This approach provided me the opportunity to start working with 5 sponsors this year. Getting a sponsorship is not easy. It is hard work, and it isn't for everybody. Some prefer to "just enjoy fishing". That means different things for different people. 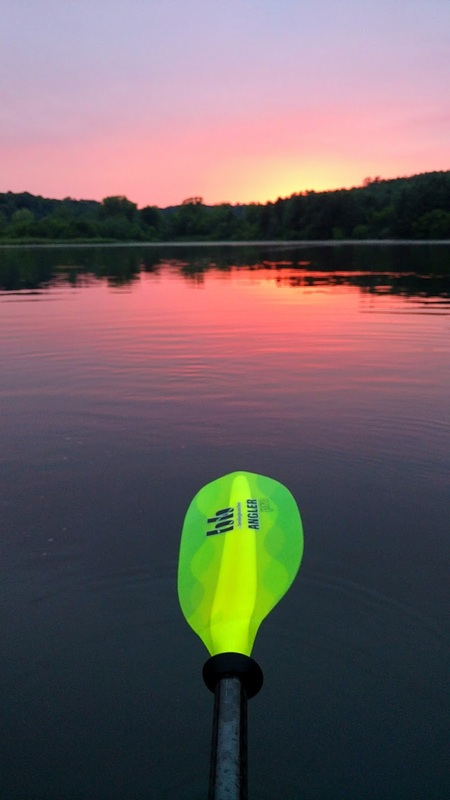 For me, that is enjoying time on the water while sharing my experiences, and thus promoting the brands I love, with others. For some that is travelling the country entering tournaments. Others it may be sitting in a Jon boat with a container of worms, a cane pole, and a 6-pack of their favorite beverage. To each their own. 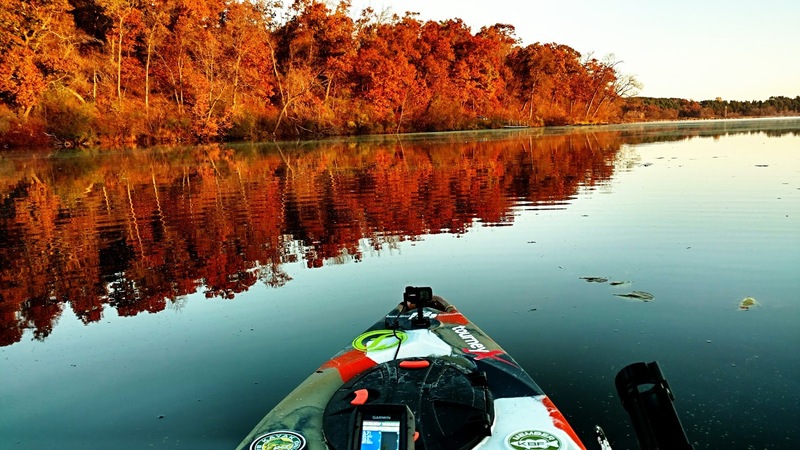 Be humble and kind, respect others, and everyone's time on the water will be more enjoyable. I hope this article was helpful, do not hesitate to comment with any questions, feedback, etc. I am also happy to help anyone with sponsorship questions. You can email me at tyler@smallcraftfisherman.com. I am also happy to share my fishing resume with anyone interested on a good format and appropriate content. Be safe, tight lines, Happy Holidays, Merry Christmas, and Happy New Year! In this rat race we call life, there is no hesitation. High-paced, instant gratification, fast delivery, instant answers via Siri or Google, there is no delay. Well, the secret to fishing? Patience, slow-it-down, hesitation. Especially when it comes to frogging. 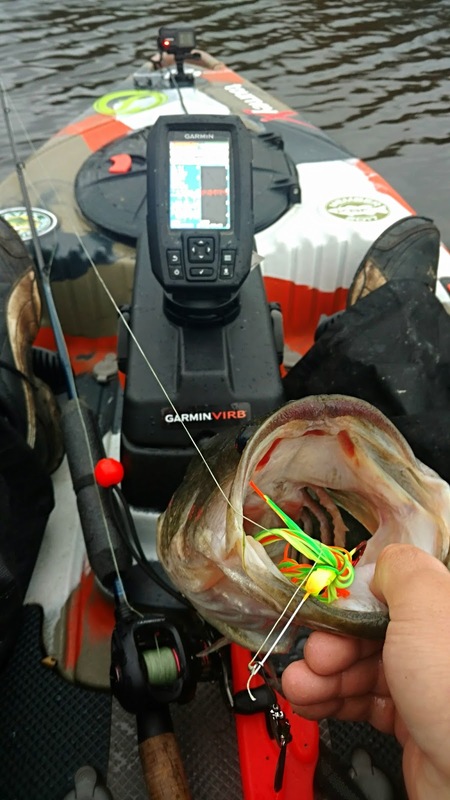 I constantly hear from fellow fisherman, "I hate frogging because I have a hard time with hookups!". Yet they keep at it. Why???? The huge topwater blowups. They are the heroin of the recreational/tournament fishing industry. I've read many-a-articles about frog fishing. I, as do many anglers, love the topwater blowups. I've spend hours refining my frog-game. I'm about to share with you the deep-dark secrets of frog fishing. For the real-world. Without lure sponsors. Without a fancy $70,000 bass boat. Pay attention, because I'm revealing my secrets. Disclaimer: I am not sponsored by any lure company. My favorite frogs are Lunkerhunt and BoohYah. Why? A balance between production, cost, and hook-up ratio. Let me explain. My froggin' days started like many of yours. A spinning reel with 8lb. mono, and the cheapest frog I could find (brand to remain nameless). My hookup ratio was a joke. But something about this style of fishing hooked me (pun fully intended). It was the picture-perfect topwater blowups. I was determined to make them productive.. Enter the Lunkerhunt Lunker Frog. It looked real, the price was higher but manageable, and I had upgraded to a baitcaster with 50lb. braid. The recipe for success. Half-a-summer is all it took to perfect my technique with this amazing hollow-body frog. The beauty of the Lunkerhunt frog is realism and versatility. 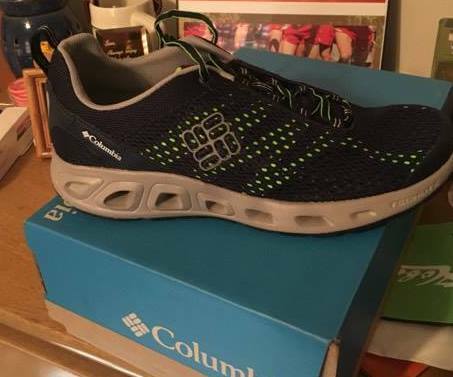 Fresh out of the box, it is an ultra-realistic. This is proven by the numerous topwater blowups caused by this amazing lure. However, like many others, I had a hard time with hookups. I read, as I do with any new techniques, many-a-articles on froggin'. The suggestions were numerous. 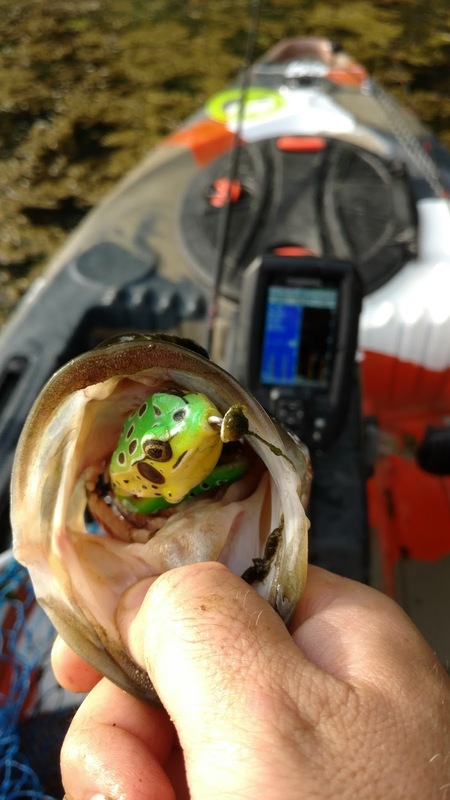 Throw this colored frog during specific days of the year in specific water conditions. Throw this-brand frog in these water conditions, etc. 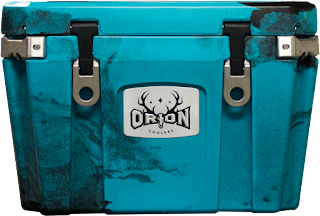 A flurry of suggestions tainted by specific situations in specific states for specific anglers. Through hours on the water, I scrapped that entirely and found my own methods. Anyone that have fished for bass topwater know the feeling. 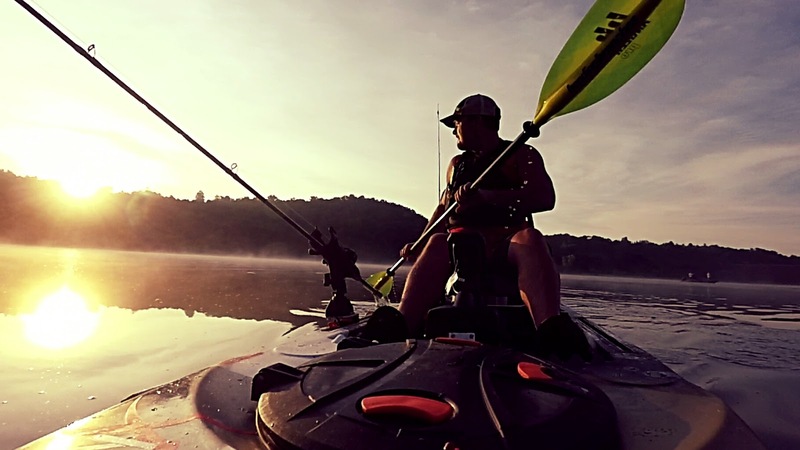 That topwater blowup we become addicted to. When it happens, time slows down, like in the movie The Matrix. The water droplets slowly erupt from the calm surface. 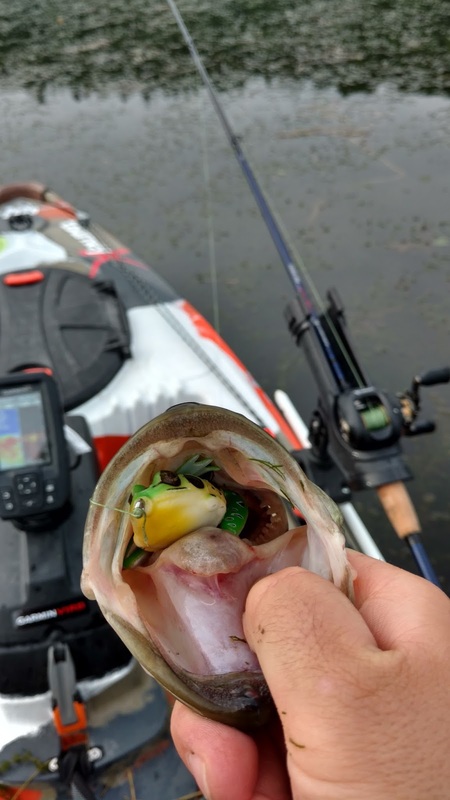 The topwater lure disappears. The line tightens. The rod bends. Your face slowly explodes with surprise. An eternity seems to pass in the blink of an eye. This is the problem, people usually react too quickly in this scenario. Hesitation is key in this situation, and I'm going to to tell you how to do it. 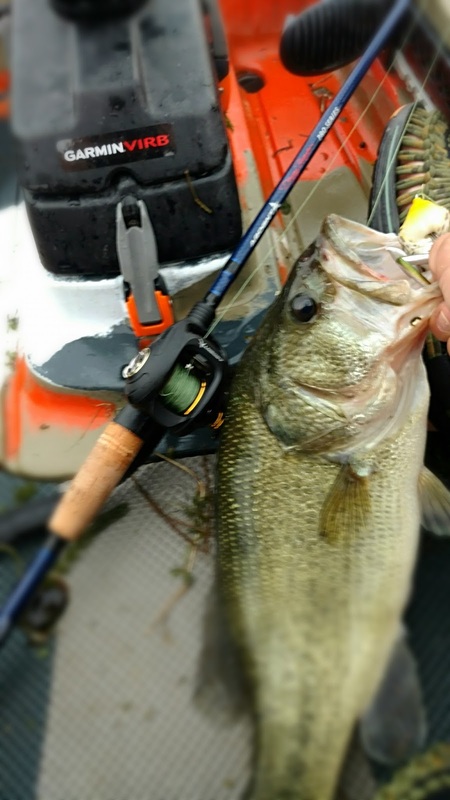 The best way to start, as recommended by most anglers, is to keep your rod tip up high while working your frog. This requires you to put your rod tip down, wind the slack, and pull to set the hook. It is a good start. But the most effective way is discipline. I use what I call the 1-2-3 method. When I see that glorious topwater blowup, as the adrenaline surges through my veins, I count to three. In this situation, it isn't a true three seconds. It never is. But it is a long enough hesitation to allow the fish to take the bait. If you are still experiencing hookup issues, increase your count to 5, 7, or whatever it takes. It will seem like an eternity and go against every instinct you have. However, this discipline has exponentially increased my hookup percentage. Having revealed my methods, now onto my favorite frogs. 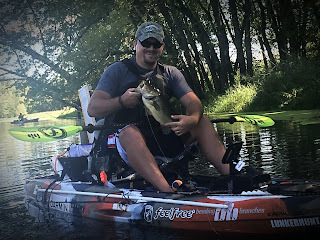 Some give the Lunkerhunt Frog a bad rep because the legs tend to get ripped off. I call this versatility, not damage or a problem. The damaged leg actually increases the motion in the water. I've caught many-a-amazing fish on a Lunkerhunt Frog missing a leg at the knee or body. This configuration actually allows you to slow roll the frog, giving it an attractive wobbling motion on the water surface. This transforms the realistic frog into a realistic injured frog. A deadly motion that has landed me too many fish to count. I am able to make 2-3 Lunkerhunt frogs last an entire frog season. During the summer I fish frogs almost exclusively. Lunkerhunt offers various sizes and colors. 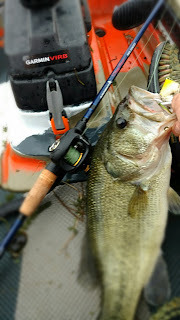 I use their Lunker Frog, which is the mid-sized one. 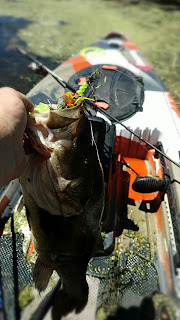 I plan to try the Combat Frog this next year (bigger lure = bigger fish hopefully). I have had luck with various colors, but tend to stick with the natural colors (dark green/light green). The Lunkerhunt Frog's ultra-realism is ultra-effective. In my home reservoir (sparse on pike), it is an unbeatable topwater lure. The same holds true for the Pike infested waters of the Mississippi backwaters I frequent. When the pike are extra-active, I found myself with more damaged Lunkerhunts than usual. 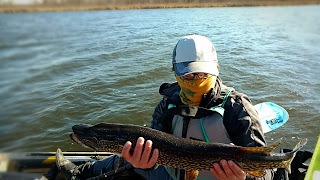 I sought a good frog at a lower price point for waters with a high pike population. Enter the Booyah Pad Crasher Popping Frog. This beauty took me out of my frog comfort zone slightly since I had honed my Lunkerhunt technique, but proved productive. 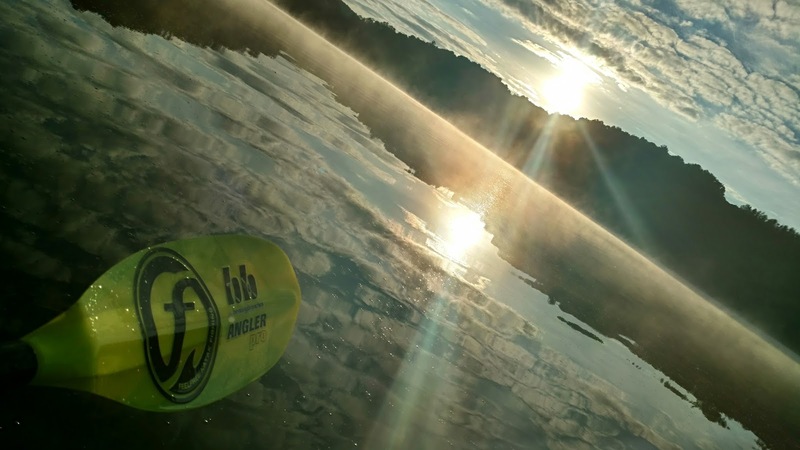 The popper even allows it to work well in open water. After landing countless Northern Pike with razor-sharp teeth the body has huge gashes in the side but still works. I exclusively used the black color, because it silhouettes nice on sunny days. I do plan to add some natural greens to my arsenal for next year. ProTip: Increase your hookup percentages with these by trimming ~1/2" off the legs. This will cause the fish to strike closer to the hooks if they target the back of the legs. 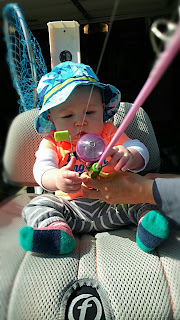 As with anything, everyone has their own opinions on the right rod, reel, and line for froggin'. Since there is no standard upon which rod action are measured, opinions further vary. I am a believer in personal preference, whatever you are comfortable with. I've seen people successfully frog fish (but struggle a bit more) with a spinning setup and 8lb. mono. They increased productivity by switching to a 20-30lb braid. I personally prefer a baitcaster for the more efficient "winching" the retrieval provides. This last year I used both an Ardent Tournament 6.5:1 and an Ardent Pro 7.3:1. Both worked very well for yanking them out of the weeds. The Pro was nice because the higher gear ratio allowed me to get them to the kayak faster. This can be nice when you have a poor hook set. Next year I am upgrading my frog rig to an Ardent Magnum. This reel has greater line capacity, which will allow for a bigger line diameter. It also has an amazing drag system for battling large fish engulfed in pounds of muck. Like with the reel, use whatever you are comfortable with to start. Through trial-and-error, I prefer medium-heavy to heavy action rods. This year I used a medium action rod. It worked well, but didn't have as much backbone as I would have liked for keeping the hook set when the fish was wrapped in weeds. This year I am going to use a McCain Kayak Series BIG Jig rod. 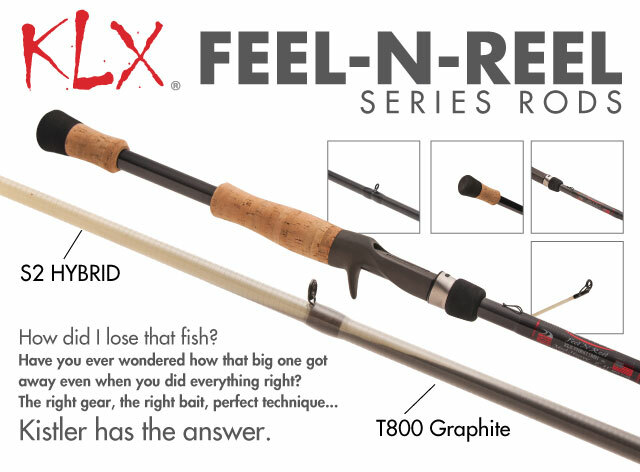 This rod is longer with a heavier backbone for punching. Perfect for a reliable hook set when a fish buries itself in thick vegetation during your "hesitation" before the hook set. Like I mentioned before, I have seen people haul in fish via frog on 8lb. mono. Though more difficult, it is possible. I have historically used 50lb. braid. Next year, with the higher line capacity of the Ardent Magnum reel, I plan to upgrade to 65lb. This will provide more strength for horsing the fish out of thick vegetation, and hopefully more resistance to pike damage. I hope my real-world tips help you increase your productivity on the highly addictive frog fishing style! Jigs: Why buy when you can DIY! Well winter has hit and it has hit hard! Daily highs are barely creeping into the 30's and some days the lows are in the negatives. This brutally cold weather in combination with some of the shortest days of the year is...well...frustrating. It really doesn't help that I don't ice fish or hunt, thus leaving me with the ever growing cabin fever. ^Does this sound like you?? If so let me help you! When cabin fever sets in there are two things I do to get me ready for Spring. The first is tying up a whole mess of jigs and the second is putting the reels through a deep clean. Now I am not a big expert on the latter but I can give some help with the jigs. 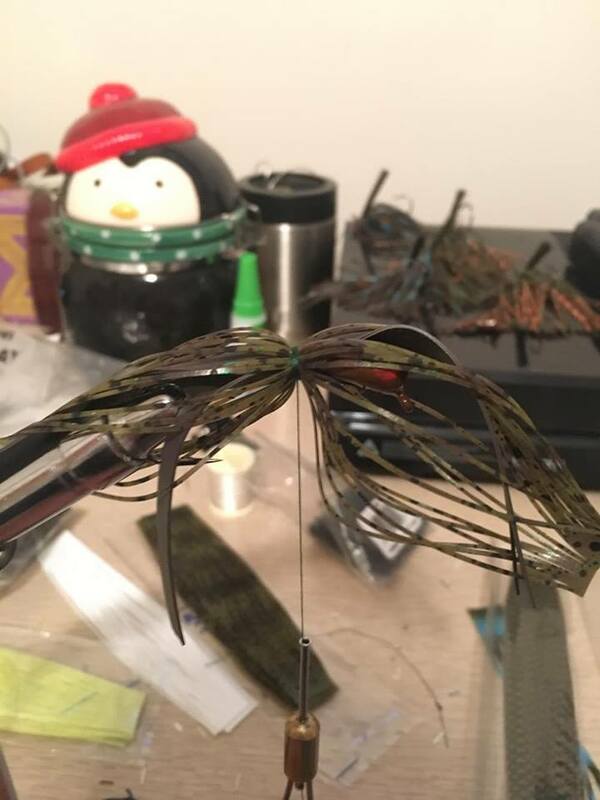 Tying jigs is something that I have been doing for a few years now. There is something that can be so rewarding about the process. 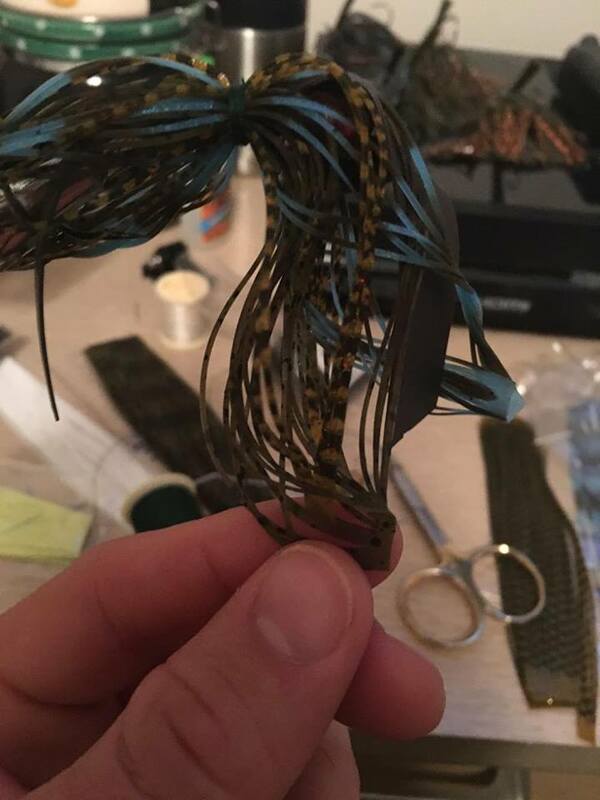 There is nothing better than tying a new color you thought up and catching fish on it! It's a great feeling knowing that your ingenuity and know how made that and that it actually caught fish! 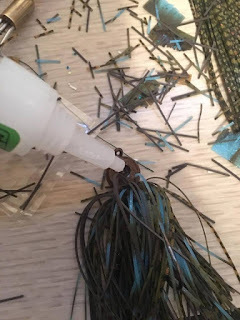 Additionally hand tying jigs have many benefits over their store bought comrades. 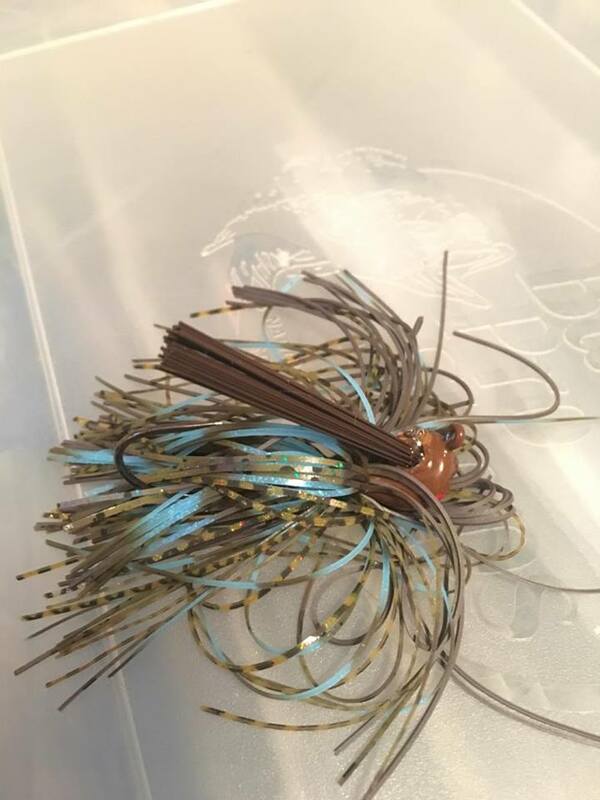 They allow for whatever color combinations and layering you can dream, the customization can be put on any jighead you desire, you can use real rubber giving a more lifelike action, and being hand tied gives the skirt a tighter fit on the jighead resulting in more flair and fluttering in the water. You can never have enough skirts! Thread...ask permission before you go raiding your mother's or wife's button repair kit or they will be wondering where all the brown and green went! Skirting material can be found in tabs. I usually use 2-3 tabs of silicon with a tab of real rubber. Jigheads, I pour my own using do it molds but many companies sell painted or unpainted weedless jigheads. Super glue, I use this to glue in the weedguard after fying the skirt. The beginning of a masterpiece. I start by adjusting the vise to allow the jighead to fit tightly within the vise. I then add a base wrap of thread to jighead using a cross wrap pattern (allows it to stay wrapped tightly), this base wrap causes friction on the skirt to keep it from twisting. 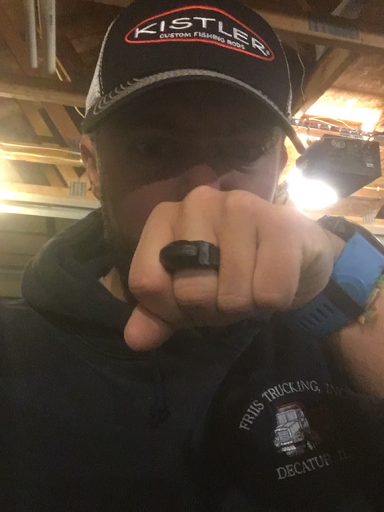 After you have the beginning wraps in place, it's time to begin to start planning the colors. Now one thing I have learned with tying jigs is you can go overboard with color very quickly. 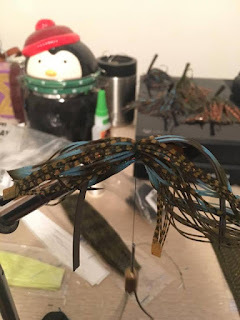 I try to make 2/3 of my jig a base color (brown, black, green pumpkin, etc.) The other 1/3 is usually my accent color such as blue, chartreuse, orange, etc. Additionally, I prefer to tie my jigs thicker. Skirting material can always been removed but after it's all said and done it can't be added! I also like to layer my jigs, starting with the tabs of real rubber, followed with my base silicon color, and finished with my accents. 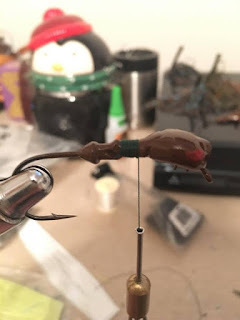 I have found that this layering pattern allows it to look the most natural in the water and it's the easiest to work with since real rubber can be a pain. In between layers, I prefer 4-5 tight wraps to keep that skirt layer from moving. 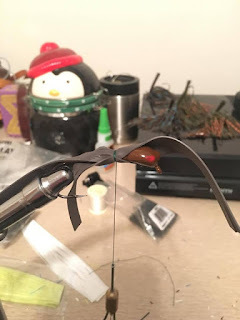 Additionally, before I pull the wraps tight I make sure the skirt is perfectly spaced around the jighead including enough length behind the hook. Make sure to cut the skirt tabs apart. Now that the final layer is added I tie an overhand knot that is cinched tight around the skirts. After this first knot I repeat with 5 more tight wraps followed by two more over hand knots. I then trim the thread and begin cutting the tabs off of the silicon skirts. The rubber skirts must then be pulled apart strip by strip. Very close to being done! After the skirt is pulled apart, I then trim the skirt to its desired length usually slightly below the bend of the hook. I then glue the weedguard into the jig head. I prefer to use the ultra gel super glue, Loctite and Gorilla glue make a good one! The ultra gel glue sits in the weedguard slot better. After the weedguard has been glued I let it sit for about 24 hours and you are done! Next thing to do is go try it out! The best part about all of this is that any little step can be tweaked or modified to fit your needs and wants! 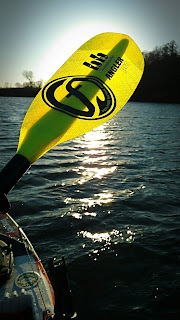 It takes a slight initial investment but it makes for a funny hobby when you can't be out on the water. 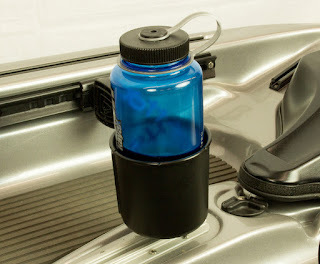 Plus it can drastically help put more fish in your boat! Give it a try this winter! Size, brand, blades, colors, material, hooks, trailers, blah, blah, blah. So many opinions and marketing exist in the world of spinner baits, my go-to lure for rivers year-round and fall fishing. Why? Three reasons: they are inexpensive (mostly), effective, and versatile. 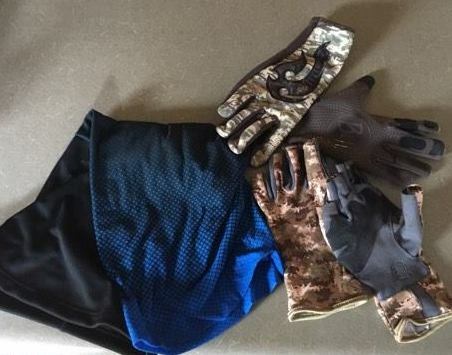 Some say use dark colors in sunlight, bright colors in clear water, dark colors in dark water, and white when the wind is blowing ESE at 5 MPH...... 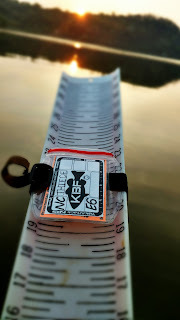 I'm about to give you real world spinner bait experience...my credentials being the fish I've caught on them throughout this post (respectable fish by Wisconsin standards). 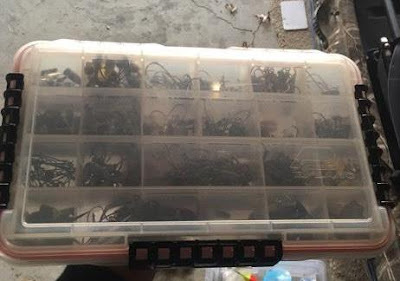 I've used spinner baits for many years. I read all the articles, watched the videos, and scoured the forums. Thus, I was a spinner expert. I was completely wrong. 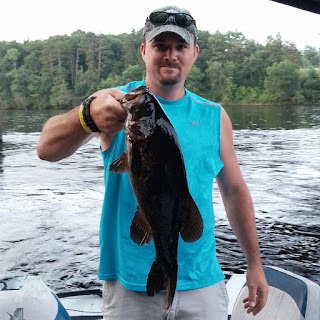 Last year I hit a local river for Small mouth Bass with a family member (yes, a gas powered vessel). This was an awakening and humbling experience. I had just made a trip to Cabela's to get some new cranks and other pricey lures the articles said to get for river smallies. 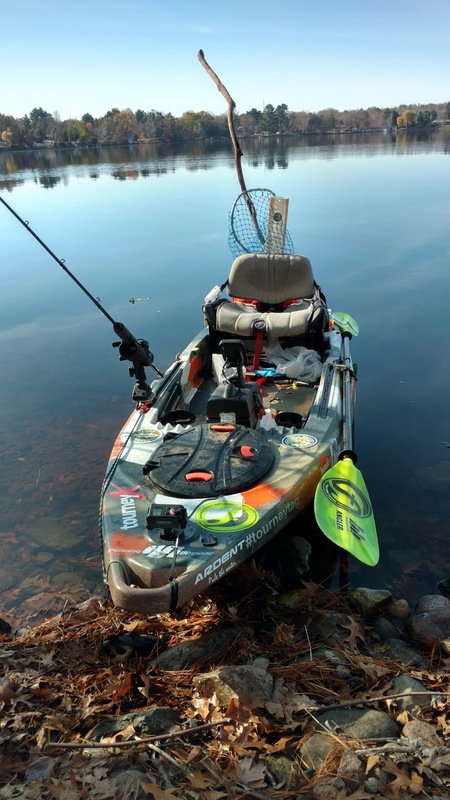 Having been a largemouth lake fisherman I was excited and "prepared" for my first true river adventure. I shared the news with the family member taking me on the trip. He said "Use what you want, but if you get a snag the current is too strong to free it. I just use spinner baits.". OK, fine. My new lures will swim another day. I have a good selection of spinner baits, my fall largemouth go-to. 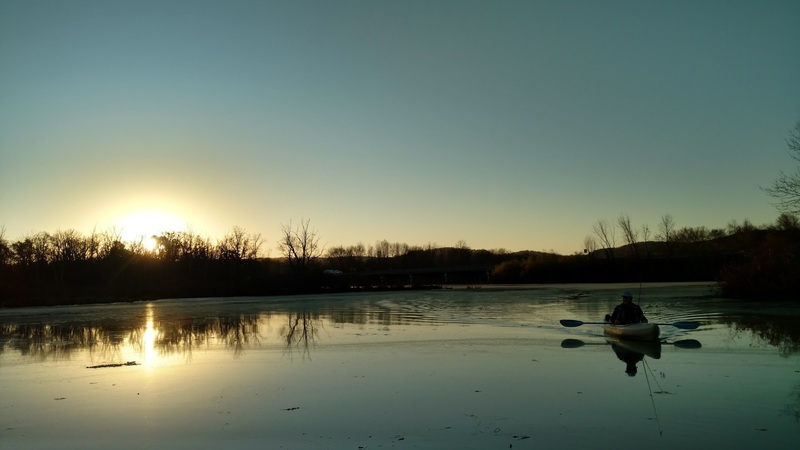 We hit the water and I assess the the conditions. The water is muddy and the sky sunny. I recall my memory banks from the articles, forums, and videos. Survey says a black spinner with double blades is going to land the most fish. My family member's advice as we launch the boat is "Don't get a snag or a backlash. You'll miss half the float in the strong current.". Ok, fair enough. I've only been using a baitcaster for just over a year but became relatively proficient. I'm ready. A comment was made about my color selection. But no worries, the articles said I made the best decision. The river was strong and it took us a long time to motor up the current in the aluminum fishing boat with a 25HP motor. 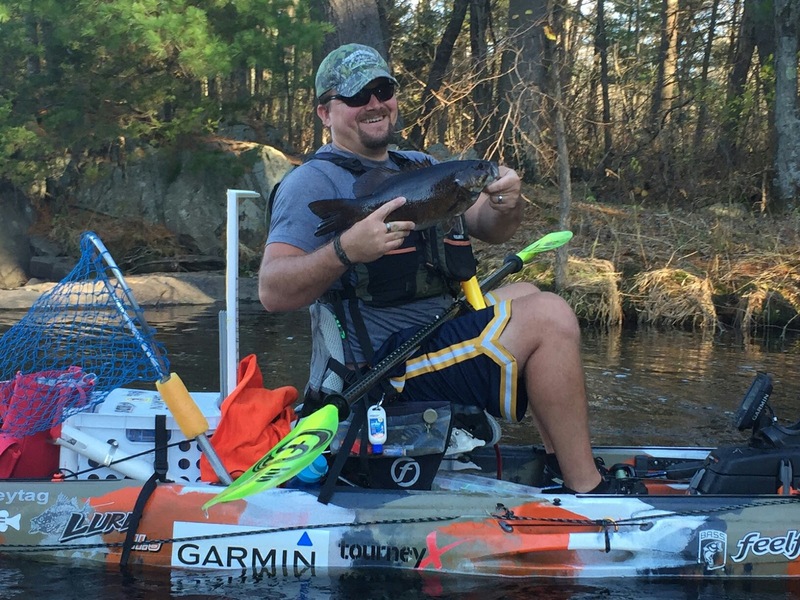 The trolling motor served no purpose other than dodging boulders in the fast current. 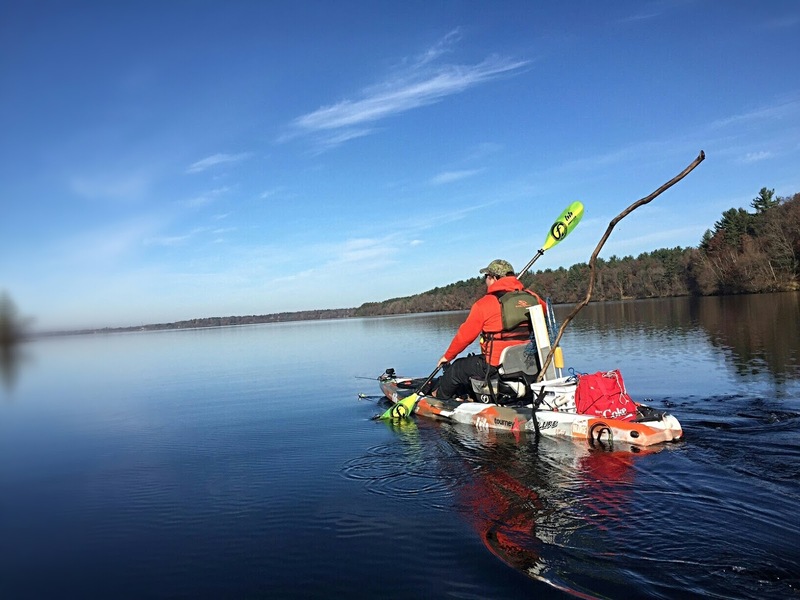 This wasn't your typical fishing trip, slow and relaxing. The fast current, constant dodging of boulders, and requirement for perfectly executed casts provided a constant feed of adrenaline at all times. After the first float, it was apparent my articles and other research were dead wrong. My family member had a bright green spinner bait and I black. I caught one fish and he several. Thus began my awakening and true love for the simple lure meant to mimic bait fish. 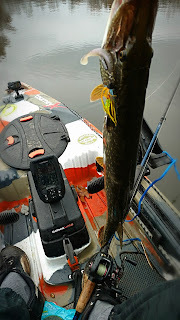 I tie on a bright green spinner and start landing nice river smallies. My largest of the day a 22" beast that gave my baitcaster a run for its money. The spinner bait has since been my sole lure on rivers and in the fall. After this experience, I ignored the research previously performed and spent countless hours perfecting my technique, landing me the best fishing season of my life this year. Many varieties of spinner baits exist of various shapes, sizes, colors, designs and materials. Prices range from $1 to $10-$15. I exclusively use the Northland Tackle spinner baits for non-inline spinners (I am in no way affiliated with them). I find their $2.50-$3 price very reasonable. 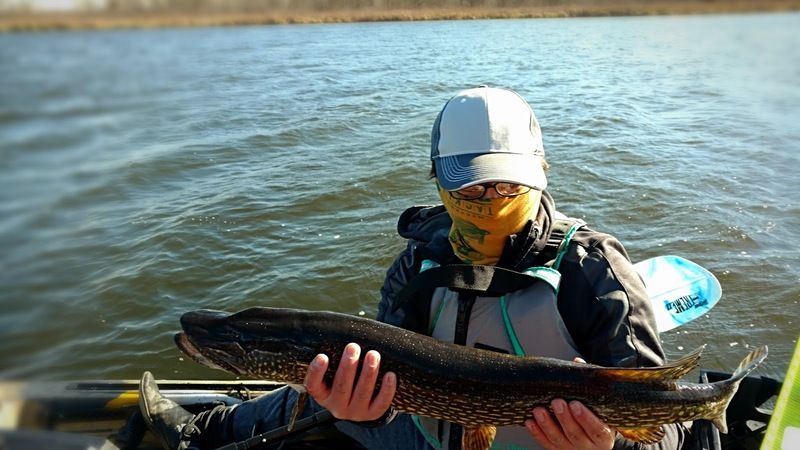 I've also landed dozens of fish, including large Northern Pike, on them. Sure, a $15 titanium spinner may last longer with the stronger metal, but it won't prevent a snag or a large pike from stealing it. It is more cost effective in the $3 range. And the $1 ones, well, you get what you pay for at that point. For inline spinners, I exclusively use the James Gang Fishing Co. LoverTails. They make a bass/pike and musky size. They also make inline buzzbaits. I use these for several reasons. First, they were designed by a local 7-year-old lure design prodigy, Alex Piontek. They are also modular, allowing for hook replacement. You can also swap out the 3.8-4" paddle tail for a paddle tail of your choice depending on the action and color you want. Most importantly, these are extremely high quality. I've landed many fish on them and have yet to lose or break one. They are longer so naturally are protected from pike cutting them free. I had a 45"+ pike bend the thick hook on one this year when it rammed my kayak. I simply bent it back (and can replace the hook if needed). An amazing lure. As mentioned above, there are many views, parameters, etc. around color selection. I found them to be about 27.6235% accurate. Thus, I have a simple approach. I have three colors at the ready. I start with a bright green color (even better if there are a couple strands of orange in there to contrast). If the bite doesn't happen or slows, I switch to a black and white color, if that doesn't work, black, finally I will tie on a white. 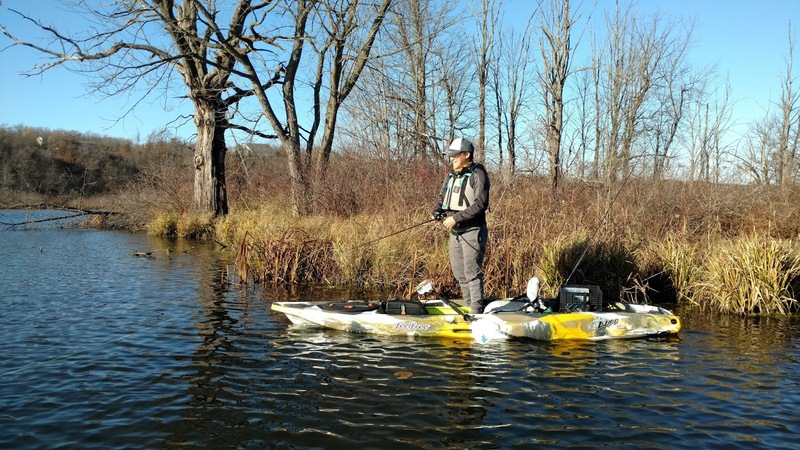 I have only made it to white once this year and ended up switching back to the green, which is what ALL of the fish pictured in this article with Northland Tackle in the caption were caught on. When I'm in thicker conditions, or the spinner bite is not hot I tie on a James Gang Fishing Co. LoverTail2 with a bluegill colored skirt. 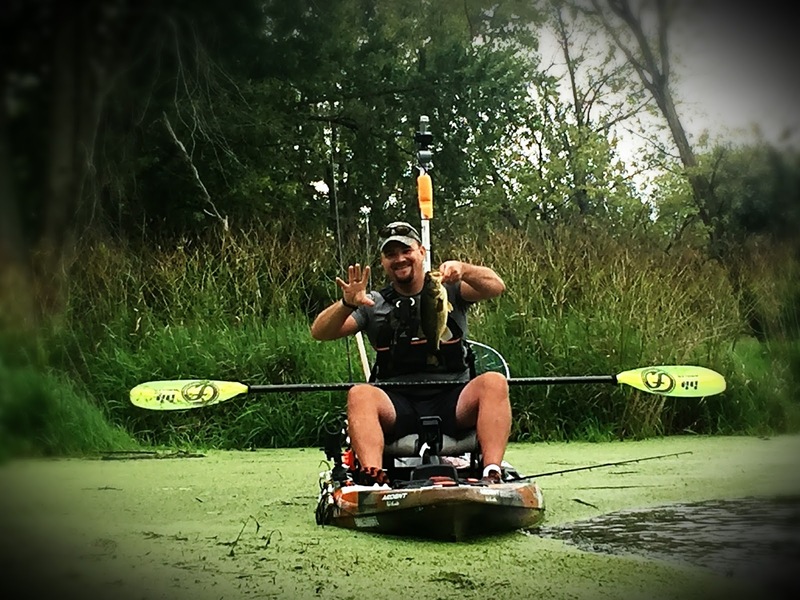 Mated with a bright green Kalins paddle tail, or a 4" Havok shad colored paddle, it is deadly. Bass and pike go crazy over it. The weedless design allows it to run through grass beds and through brush. 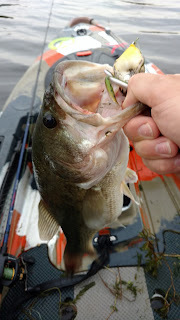 The unique design is unlike other lures fish see regularly, which is why it is my go-to when the bite is otherwise slow. Big fish, especially in the fall, won't spend precious calories for a small meal. Thus, I use large spinner baits. I use 1/2 ounce dual-blades (Colorado and Willow combo). These cause more flash and displace more water. For the James Gang Fishing Co. inline spiner, I use their bass sized LoverTail2. But have been talking to the owner about mating it with a muskie hook for the bigger pike. I've read about several modification options: turn the skirt inside-out, put on a worm or swimbait trailer, hammer the blades flat, remove the skirt and use a swimbait, name it Bill Dance for good luck (just kidding on the last one). I have tried modifications and they work at times. 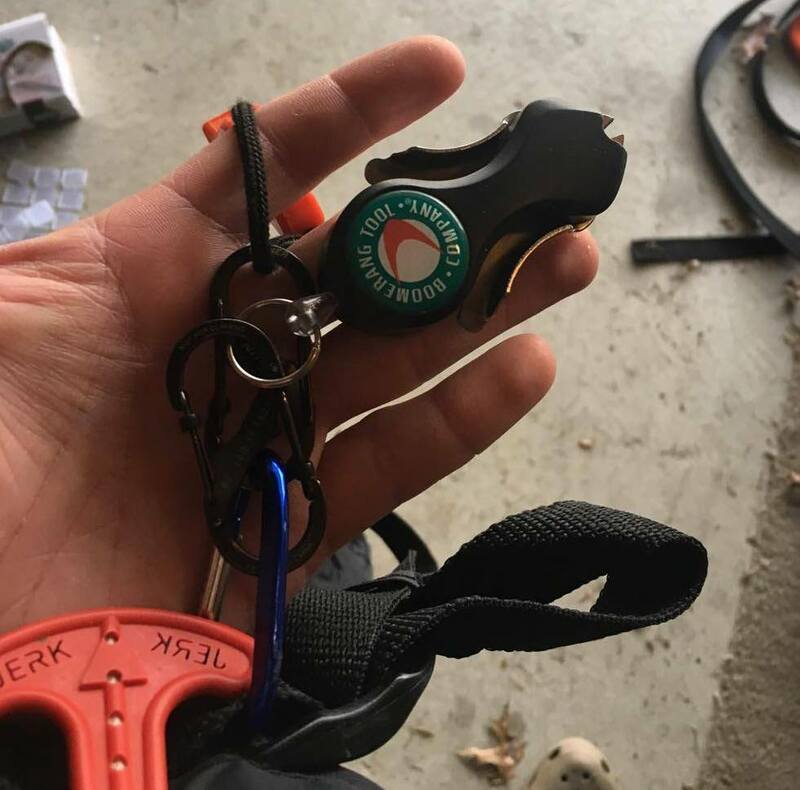 However, I have found the Northland Tackle spinners work best unmodified. Adding trailers reduce the hookup percentages, the skirt design is strong and provides a nice pulsating action, and the blades have a nice flash in the water (you can feel them if using braid). One of my buddies adds a trailer hook if he is having issues with hookups, but I opt to go without. No specific reason other than my hookups haven't been an issue thus far. The James Gang Fishing Co. LoverTail2 comes with a paddle tail on the weighted hook. Other than swapping out different colors, I stick with softer 3.8" paddle tails for the best action. The flash of the blade, followed by the pulse of the high-quality skirt, chased by the paddling tail make the action beatiful stock. Of course scents are another popular modification. JBs Fish Sauce makes a baitfish scent that adds to the baitfish similation of the spinners. They make scent sticks and pastes that you can rub in the grooves of the spinner's head for a long-lasting scent. You'll find several methods out there, many of which I have tried. They include burning it, a retrieve, pause, retrieve, slow roll, slow roll to drag bottom, and many others. My most productive technique has been a mostly steady roll. Every-other-crank or so, I'll give the reel a 1/2 rotation quick flick. This small darting action mimicks the movement of the bait fish while not completely pulling it out of the range of the strike. Spinner baits tend to swim higher in the water column. At times, if I want to fish deeper, I will cast the spinner out and let it sink to my desired depth (either I wait for it to hit bottom or do a slow 10-count). The retrieve needs to be slower when doing this to keep the spinner deep, but I've caught several nice deep fish on spinners. Another topic which has varying techniques of various complexity. Work it on points, ledges with a 43.2354 degree slope, cast it onto the boat ramp while someoene is launching and bounce it off the tire, etc. I have found a simple technique for spinner bait placement. Ambush points. 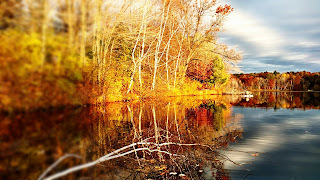 Especially in the fall, the big fish are hiding, waiting to ambush their prey. The big ones aren't going to expend precious calories to attach a lure several feet away when it knows another will likely pass closer. Ever since my first river trip where accurate casts were critical, I've become deadly accurate casting spinner baits. Practice often to become confident and accurate in your casting. I have caught my biggest fish not on the retrieve, but when the lure lands in the water precisely on an ambush point. This could be between two rocks, between some stumps, a crack in a rock wall, a pocket on the edge of a weed ledge, or bush hanging into the water. When fishing spinner baits, I focus more on casting extactly where they are likely to be waiting rather than where I want to retrieve. About 75% of my nice fish caught on them hit it while it is falling after the cast. This said, beyond accuracy, stealth is important. 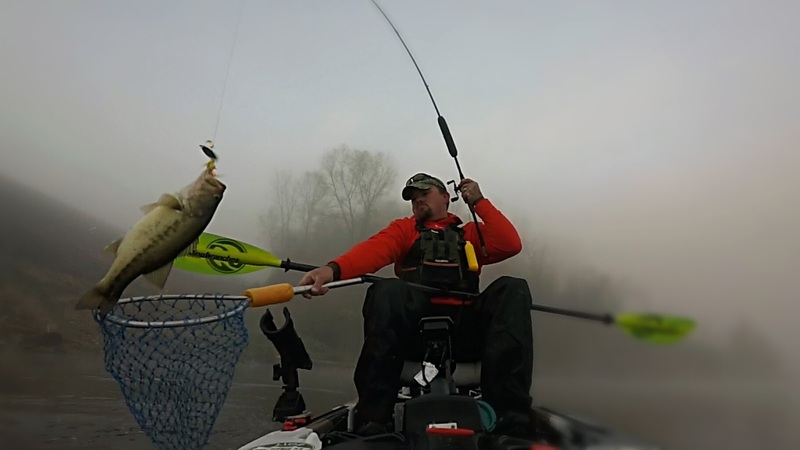 Once you become proficient at placing your casts, you have to learn how to land the spinner in the water silently. Not an easy task with the heavy bladed contraption. But I found if I throttle my spool slightly with my thumb, it keeps the line tight during the cast. I sidearm cast to keep the spinner close to the water. Right before it is about to hit the water, I stop the spool with my thumb while dropping my rod tip. This often makes the entry splash unbelievably quiet. Note: I am not able to cast accurately or quietly with a spinning reel, but spend 99% with a baitcaster so haven't taken time to practice. Ardent Denny Brauer Topwater Rod (7' Medium action). Note: I am going to go to a Heavy action Ardent Edge 7' rod next year so it handles pike a bit easier. Ardent Apex Pro 7.3:1. This is a nice, strong reel that hauls in anything that bites a spinner with ease. The faster gear ratio is just a personal prefrence. It allows me to pull the fish in faster once hooked. I just slow my retrieve to compensate. Note: I am moving to an Ardent Magnum next year. 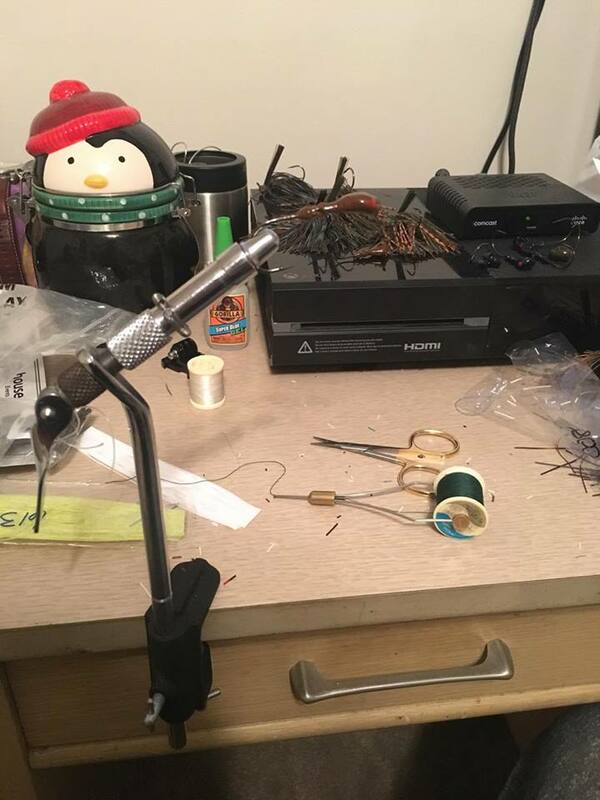 A bigger reel to allow for heavier line so I can handle pike better next year. 50lb. braid - use your brand of choice. I've tried several and have yet to find one I'm in love with. I'm giving another brand a try this year. Note: I'm moving to 65lb. 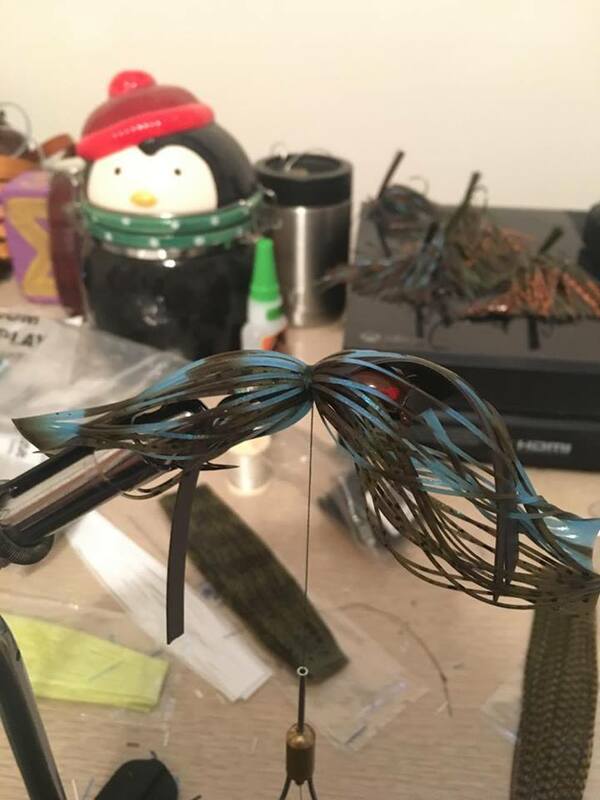 braid to better handle the pike next year. My approach is to keep it simple. Balance lure quality and price. Targeting ambush spots. Simple retrieve. And rod/line/reel selection augmented from personal preference. What are your next steps if you want to build confidence with spinner baits? 1. 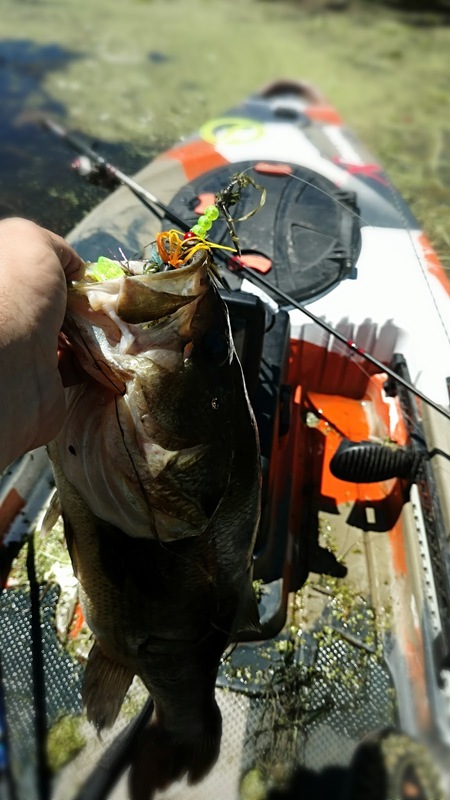 Get yourself a bright green, black, and white double-blade spinner bait (I exclusively use Northland Tackle for the reasons mentioned above). 4. Be mindful of the pike and other toothy creatures. 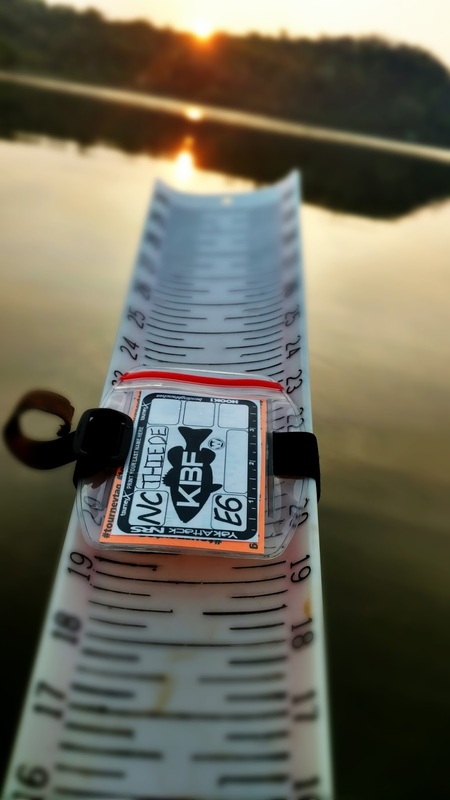 Depending on your line, consider a steel or fluro leader to mitigate stolen lures. 5. Practice casting accurately and silently until you are confident in your casts. 6. Practice casting accurately and silently until you are confident in your casts. 7. Practice casting accurately and silently until you are confident in your casts. 8. Practice casting accurately and silently until you are confident in your casts. 9. Look for structure where a predator is likely waiting for prey. Use your new casting skills to hit that spot, hesitating for a moment when it hits the water to allow them to grab it on the drop. 10. Keep an open mind and adjust. The above is what works best for me, If you prefer a spinning reel, use it. If you prefer mono or fluro, use it. This is all about proficiency and trial-and-error. 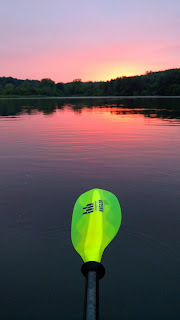 Thank you for reading, I hope my first true how-to article helps you on the water. My goal was to share my experiences, adding some humor. 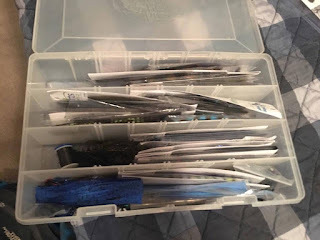 I also wanted to give you a no-nonsense approach to spinner bait use that doesn't require a complex flow chart, data sheet, and formulas to factor in all conditions. I found my method to be simple, less stressful, and highly effective. Please leave a comment if you have any feedback or further questions on my first true how-to! I would like to get feedback. I love teaching others and will likely continue writing with a mixture of my usual shenanigans coupled with how-to articles.